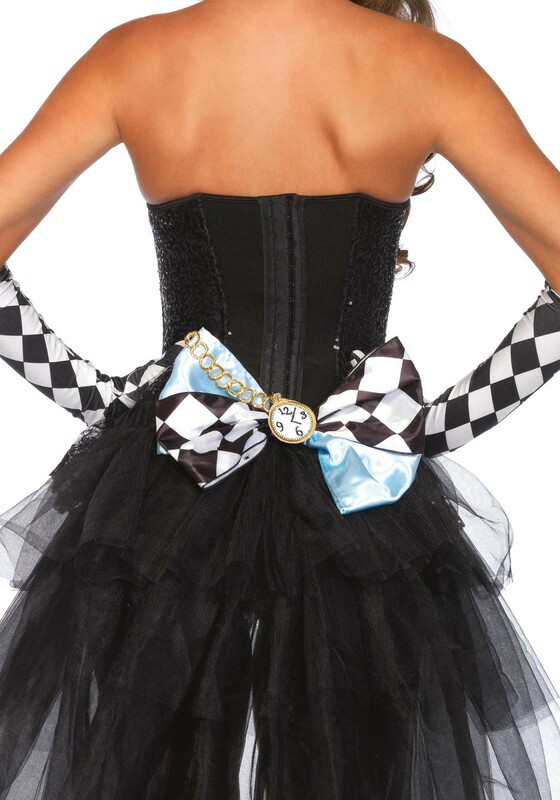 This oversized bow is well known from the Alice fairy-tale. 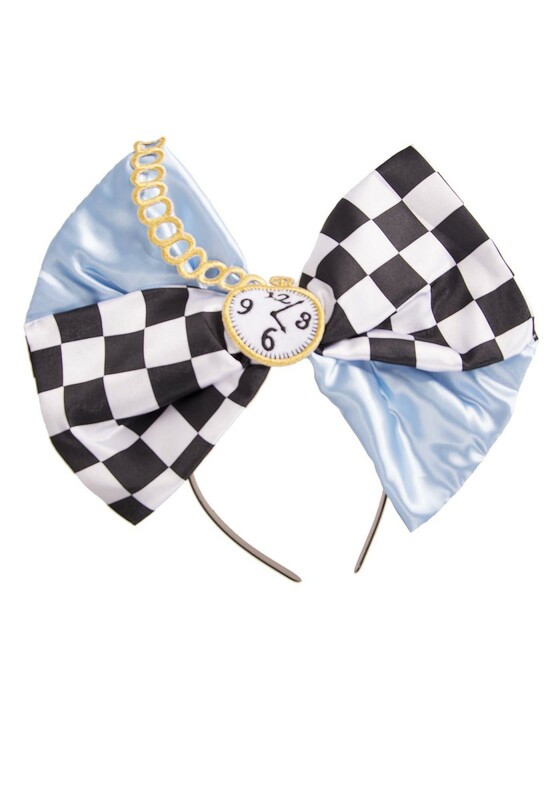 The bow has an embroidered clock detail, and can be worn in different ways. It can be word as a headband but the bow can also be pinned on clothing with a safety pin. The bow includes a headband and safety pin.